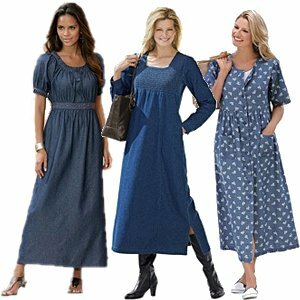 Plus Size Casual Dresses - The Casual You - Not every day is a holiday, and plus size women need casual dresses that can be worn comfortably at work, home, and when just hanging out with friends. Thankfully there are a lot of different styles in plus size women's dresses that are perfect for casual moments. Work Casual: This type of dress looks professional without needing to carry a briefcase. Better still, a little accessorizing can turn this dress up a notch to being low-range formal. Average Casual: This is the kind of dress you toss on to go shopping, join in a picnic, etc. The idea is to be comfortable, but also have a little feminine edge. If you find average casual dresses that are two piece, you may be able to mix and match them to other skirts and tops. Very Casual: This is the sun dress, the house dress, a beach dress etc. This dress says, "I'm relaxing" (without looking frumpy). Being casual or plus size does NOT mean loosing your sense of style in the process. There are tricks to choosing a dress and wearing it so that you still shine. Above all else, it's very important to pick out casual dresses that utilize your best assets and show them off. Of course the style that succeeds depends heavily on your body type. There are three basic body types. First is a round body (heavier in the waist, stomach and breasts). Second is a pear-shaped body (bigger in the hips, bottom and legs). The third shape is hourglass. Plus size hourglass bodies have the most flexibility in what they can wear (very often being forced to buy plus sizes because of height). Round women should choose Plus Size Casual Dresses that fall just above their calves, and that highlight their breasts without being flashy. A V neckline is fine as it moves eyes lengthwise, making you appear taller. Do not, however, go with dresses that are skin tight on top. High-waist, empire style dresses work well for you. The pear bodied woman should look for dresses that are intricate on top. Avoid drop-waist dresses. Embrace ¾ length items in rich dark colors. Turn it down or Dress it up! The wonderful thing about well-chosen plus size women's dresses is that they're incredibly flexible to a wide variety of settings and occasions. Take a simple denim day dress - if you put on a pair of heels and some jewelry, suddenly it's much fancier and potentially functional for the office. Similarly, put a sharp light weight jacket over a sun dress and go out for dinner. Hang a couple of your favorite casual dresses on a door and play "dress up" with them. Try different jewelry and shoes, then step back and compare. By doing this you'll find some great looks that don't cost a fortune and are still incredibly comfortable for those long days. There are moments in life when you really want to wear a dress but also be comfortable in that attire. Plus size casual dresses are the perfect solution to this quandary. 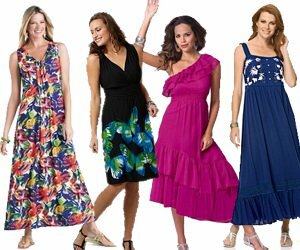 While a generation ago it might have been all but impossible to find a nice dress for the full bodied woman, now you have lots of options. From short to long, various cuts, a plethora of color, partial sleeve - sleeveless or full sleeve and no pattern to stripes, animal print, florals and even polka dot. One of the nicest elements of a casual dress is that you don't have to be limited by many of the 'standard' rules of plus size dressing. For a laid back occasion you can be as whimsical as you wish. To heck with dull black and gray - this isn't a funeral. Find something that shows both your taste and your personal style. The growing demand for plus size casual dresses means one thing to full figured women: Choices, choices, choices! It may take a little power shopping but you want to find a dress that not only works in more than one setting, but that you really like on your body. The more you enjoy your dress, the more your body language reflects confidence and pride. Better still, a plus size casual dress provides you with a lot of versatility to mix and match with your accessories - dress it up, or dress it down! Go trendy, retro or just be yourself. Since casual dresses tend to be more affordable than formal ones, this is the perfect time to experiment a bit with something a little outside your normal box. If you feel a little overwhelmed by all your options, one easy solution is window shopping online. Not only can you get some great ideas and find out what stores have sales, you may also get some great ideas about accessorizing that never occurred to you before. If you decide to BUY on line, however, please take the time to check the site's return policies. Some stores have prohibitive restocking fees or other very specific requirements in order to get a refund if the sizing turns out wrong. Depending on the site, you may have to dig through a few pages to get the specifics on their warrantee and return policy, but do not buy until you read that over. An informed consumer is a powerful tool for change! 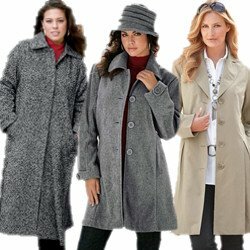 When you want a dress that's comfortable and cozy plus size casual dresses are a great choice. A few years ago there weren't many choices in plus size clothing that didn't look like a gunnysack. Thankfully designers have finally realized that a woman with curves represents a great framework for fashion. You no longer have to give up your sense of style - there are dozens of colors, fabrics and cuts one of which is sure to fit your lifestyle and personality perfectly. Plus size casual dresses were made for daily life. You can go from the supermarket to a laid back lunch or small party with friends and never feel out of place. There are some tricks, however, to picking the best dresses for your body. First remember this mantra: size matters. You need to be honest about your size and also recognize that manufacturers do not necessarily size things the same way. That means if you want a nice fitting dress you're probably going to have to do some trying on. Nonetheless there's no reason not to hit the internet looking for women in casual dresses that have a similar body type to your own. It will give you some great ideas and probably save time in shopping. A well chosen casual dress is incredibly convenient - you can actually dress them up a bit if you want just using a few subtle accessories that draw people's eyes where you most want them. For example, if you've got a great neck choose a dress with a v-shaped neckline then add a small, tasteful drop necklace to the equation. Top it off with a nice pair of shoes and a little makeup - and you're ready for nearly anything. About the worst mistake that many plus size women make is getting over-sized clothing. While you may think it hides you what you're really doing is making yourself look larger. Don't succumb to that temptation. Be proud of your curves and spend the little extra time necessary to find that perfect outfit. A lines often look fantastic on plus size women particularly if the dress comes just to the knee. Give it a whirl, girl! Also remember to buy plus size casual dresses that suit your personality and also give you as many potential options for various-occasion situations. No need to spend extra money - just choose smart the first time.